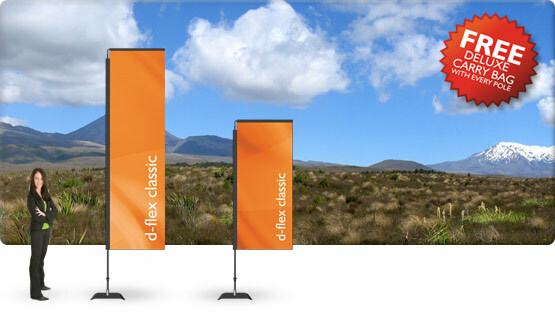 Durapole Swing Rectangle printed banners are the perfect solution for business looking to draw in more customers, promote an event or as a general promotional and branding tool. Durapole Swing banners are give you the maximum print area to display your message. A top horizontal bar hold the fabric up so your message is always easy to read and allows the lower half to move in the wind to attract attention! With award winning full colour printing these vibrant banners flap in the wind to grab the viewers attention. Rectangle banners are extremely versatile, waterproof, durable and easy to transport and can be used outdoors or indoors. Classic printed rectangle banners are light-weight and can be assembled in seconds with a range of mounting options.